« Zendaya Coleman and Cheryl Cole in Flared Pants and Cropped Top – Who Wore it Better? Last month, it was all about relaxed summer outfits. 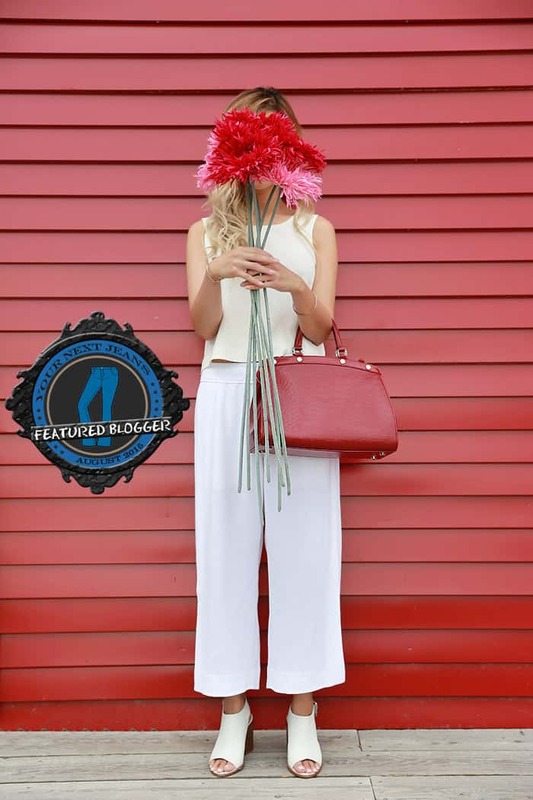 A lot of bloggers have tried out the wide-legged trousers trend, but tight-fitting jeans are also still ubiquitous – albeit styled more casually, to evoke the effortless vibe so fitting for the summer season. 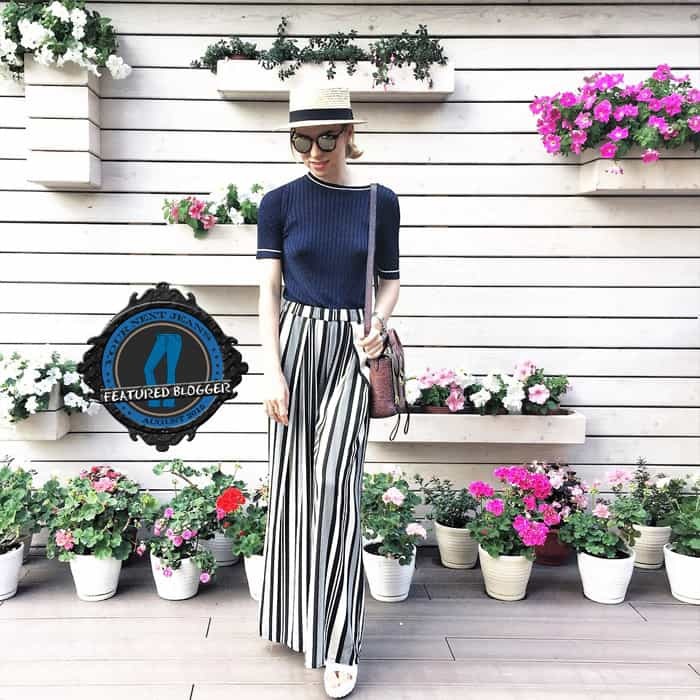 Elif exuded cool girl vibes in her palazzo pants from Mango. 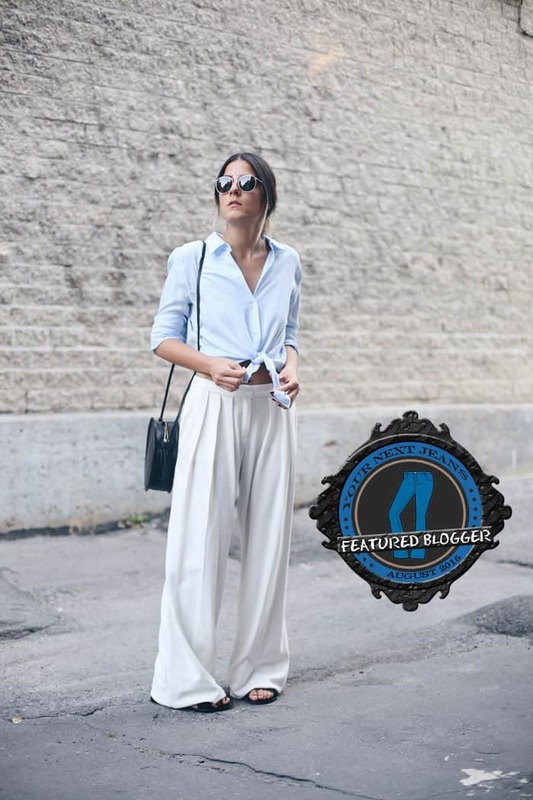 We also love how she styled the pants with a button down shirt tied at the waist. This even works as a vacation outfit, don’t you agree? Luise emphasized her mile-long legs in this pair of high-waisted flared pants. Her outfit’s color palette is also pleasing to the eyes! Nastia rocked this pair of high-waisted pants. This just proves that basic pieces, when combined, can create a stunning daytime look. Only Dominique can make this pair of Pepe Jeans London jeans look so chic. The slouchy sweater and that scarf on her shoulder added to the comfortable vibe of her look. Valeriya showed us another perfect vacation look. We like the idea of her striped palazzo pants worn with a knitted top. The all-white game is still strong despite fall being right around the corner. Lina made the most of this trend in a pair of cropped pants, a matching cropped top and a pair of white mules. Audrey proves denim-on-denim can look spot-on. It’s just a matter of finding the right denim jacket and matching jeans! We wouldn’t mind copying this look from Reingeschlupft. When a cami and pair of jeans combo isn’t enough, throw on your printed button down shirt! Lotta-Liina looked super cute in a pair of cropped jeans that she wore with this season’s “it” item – the off shoulder top. We also love the pop of metallic, care of her shoes. Samantha’s top and pants twin set looks so comfortable! More than that, the whole style looks so chic! What do you think? Which of these outfits do you like the most?